Wittenborg Online: "I Came to Study in Holland Because of a Movie"
For Wittenborg graduate Zuwang Chen it was love at first sight: He saw a romantic movie which was shot in the Netherlands and he knew he wanted to study here. 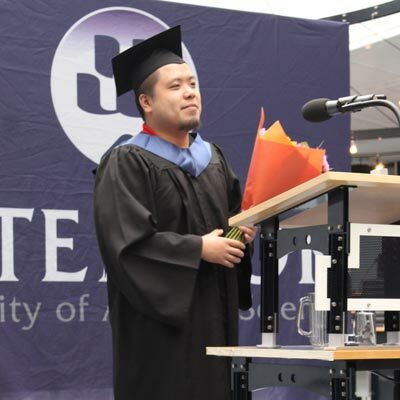 Chen, who is from China, graduated with a Bachelor degree (IBA) in Economics & Management from Wittenborg University of Applied Sciences this summer. So, what was the movie? Turns out he saw a Korean movie called Daisy (Deiji) – an urban romantic drama by Hong Kong director Andrew Lau. It shows lots of Holland’s lush, green countryside as well as give a glimpse of what living in a Dutch city looks like.